The Patriot Women recorded their first victory on Thursday, February 7th over North Lakes Academy. The Patriots were led by the triple double of Dasharay. Read more about her big game and the years of preapration she has done to reach this point. 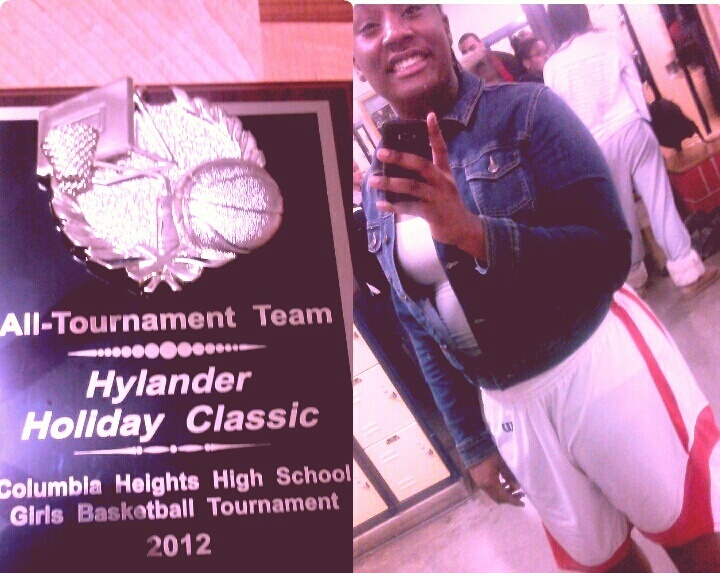 In can mean a lot of things but in my case I got 15 rebounds, 14 points, and 14 steals. Is that your best game ever? 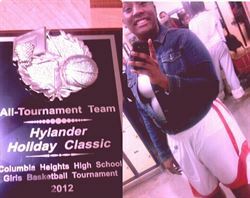 Yes, but in one of my games I also had 27 rebounds (named to Coumbia Heights All Tournament Team). Since 4th grade. I played for Maplewood County. My stepdad got me into basketball, game to my games and if I did something wrong he would tell me how to do it better. Rebounding is a skill that few possess. What's your strategy for getting rebounds? I box out and I want to win and you can't win if the other team keeps getting rebounds and putting it up. This season has been rough, but I like playing for this team because we have never given up because we wanted to win. The win givesw us more confidence and something to rely on for our next game (Brooklyn Center) what to do better and how to get there. Coach Lang is popular with the players on his team. Why? He is nice. He's funny. He motivates us. He helps us get better so that we can continue to win the next time. You tried to douse him with the Gatorade bucket last night, didn't you? Some of the players grabbed the Gatorade bucket and started toward Coach, but we got stopped, and instead we all grabbed cups of water and waited inside the steps to the lockeroom and when he walked in we all poured our water over him. He was screaming and yelling and tried to get away, and he was trying to pour water back on us, but he ended up getting wetter than us.